WETHERSPOONS HOTEL PLANNING CONSENT AND AGENT OF CHANGE. As has been announced in the press by Glasgow City Council, a 2nd planning application was consented on Tuesday 20th November at a meeting of Glasgow City Council Planning Application Committee allowing Wetherspoon’s proposed hotel development to commence on the vacant site adjoining the Sub Club and the other music venues and businesses in the building. The original application is still the subject of Judicial Review proceedings. We consider that the Planning Application Committee was misinformed and misdirected by Glasgow City Council Planning Department in their presentation to the committee, and consequently, this new planning consent was granted without due regard for the Scottish Government policy on the Agent of Change principle. In fact GCC planning department granted the original planning consent in July 2017 for the hotel development without any regard whatsoever for the music venues which have operated on this site for decades, failing even to mention their existence in the handling report, never mind insisting on any condition relating to noise ingress to the hotel bedrooms which are to be sited within a few feet of The Sub Club and Classic Grand. In the case of the Classic Grand, bedrooms are shown in the design to be literally directly through the wall from the nightclub. It was for this reason that we decided last year to take the costly and very time-consuming action to raise a Judicial Review petition, as there was literally no protection in place should future hotel occupants complain about noise emanating from our premises. Regarding the new application, consented by the committee last Tuesday, the planning officer stated to the Planning Application Committee, in a one-sided and distorted version of the context and background situation, that the Sub Club had raised a Judicial Review action in relation to condition 4 of the consent and stated that this amended condition now resolved the issue which was in dispute. This is completely inaccurate. Our action centres on the fact that there is actually NO NOISE CONDITION in the original 2017 planning consent to regulate noise ingress to the hotel bedrooms from the Sub Club or the other music venues and businesses. A number of other assertions were put in front of the committee, which suggested that appropriate consultations took place, when in fact the applicant and the planning department refused point blank to share the proposed wording of this new condition with us ahead of the application. In other words, we were given no opportunity to influence or even comment on the proposed wording as had been promised at the point where we agreed to delay legal proceedings. Planners also failed to offer any dialogue on our own proposed condition submitted at a meeting in March 2018 which was drawn up by acoustic and planning experts to remedy the situation. There were 21 objections to this application. These included representations on the specific points above from respected music bodies, the Night Time Industries Association, the Music Venues Trust, Scottish Music Industry Association and UK Music, and the rest were made up of owners and occupants of our building and from respected professionals in the fields of music, planning and acoustic science. Incredibly, following these objections to this Section 42 amendment, the actual amendment itself was further amended immediately before being presented to the committee on Nov 20th, with no opportunity for any of the objectors to review the change or comment on it. NONE of the objections were discussed at the committee hearing, and the planning officer presenting the recommendation to grant consent made no attempt to articulate the reasons for the objections. Furthermore, a letter expressing concerns about this process to the committee from our own solicitor was not even mentioned, and a request from our ward councilor to adjourn proceedings pending further discussion, or to hold a hearing, was only mentioned as an afterthought and was passed over without being read out or circulated to individual committee members for consideration. It feels like the planners objective is to circumvent the due legal process which is ongoing, and to dilute the principle of Agent Of Change, whilst pushing forward a development which potentially threatens the existence of these important music venues and businesses. It is also worth stating that contrary to comments which appeared following the GCC press release, at no stage have we objected to the principal of the hotel being built. In fact, on the contrary, we welcome the development of the site which has been an eyesore since the previous building was destroyed by fire in November 1999, forcing the closure of our own premises for 3 years. 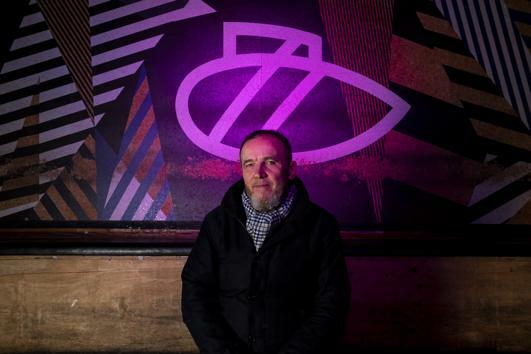 We consider that this decision to consent planning approval is unsound, that it leaves a serious threat to the very existence of the Sub Club, Classic Grand, Academy of Music and other music businesses within the building, and that it flies in the face of the principle of Agent of Change which is now part of the Scottish Government planning guidelines. We are currently taking further legal advice on the best course of action.